Product #16092 | SKU MBSV-H-20BB | 0.0 (no ratings yet) Thanks for your rating! 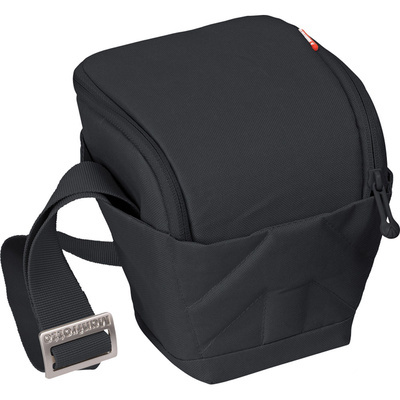 The black Manfrotto Vivace 20 Holster is an extra padded case that provides protection for your DSLR camera with an attached lens kit (18-55mm) and accessories.. The holster has easily accessible pockets in which to organise accessories.